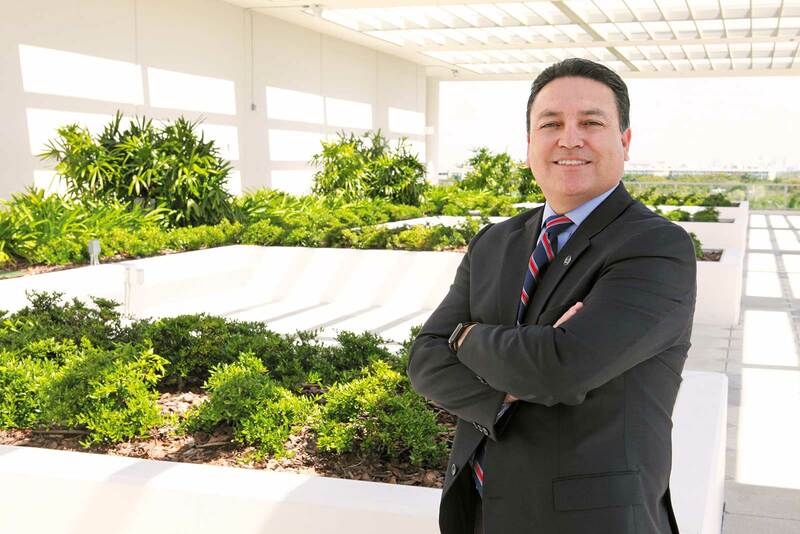 Benjamin J. Riestra was named chief administrative officer of the Lennar Foundation Medical Center on Aug. 14, 2015, when he returned to the health system. His role was to finish planning the facility, open it and manage it going forward. The facility opened Dec. 15 and Mr. Riestra said it’s exceeding expectations of where he thought it would be at this point. His main duties are to oversee the patient care, the entire facility’s operations and the financial management and also to maintain the vision and essence of what was created. Essentially, Mr. Riestra said, that means creating a health care destination that’s unique, not only regionally but nationally. It’s certainly a facility that has tremendous clinical care, he said, but it’s all on an ambulatory basis. He said the industry is seeing more outpatient and ambulatory care and he believes in the future 98% of health care should be delivered as outpatient and ambulatory care. Essentially, he said, it’s a hospital without beds, and the clinical care component certainly represents that. Miami Today reporter Susan Danseyar interviewed Mr. Riestra in his office at the Lennar Foundation Medical Center.